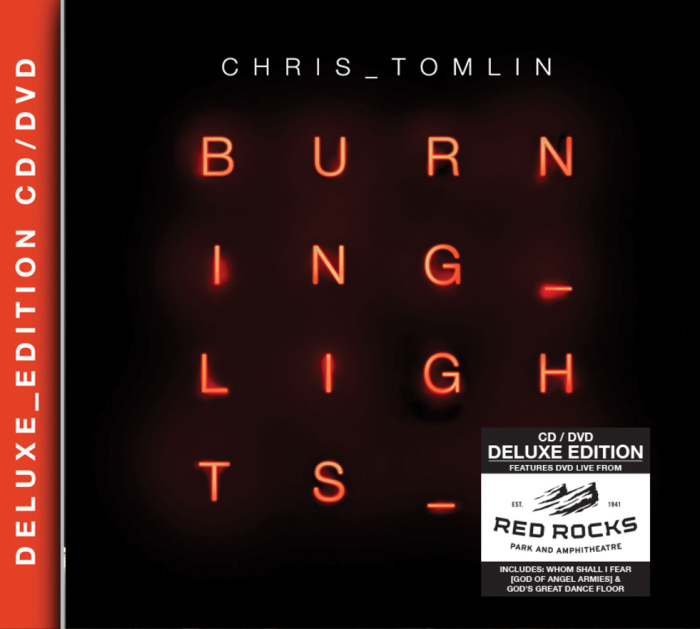 MEMPHIS, Tenn. – Chris Tomlin's awarding winning "Burning Lights" tour recently stopped in one of the South's richest musical enclaves to showcase the songs and message that have catapulted him to new heights in the Praise and Worship genre of Christian music. Tomlin and Atlanta-based pastor Louie Giglio entertained a nearly packed house at Hope Church in Memphis, combining Tomlin's strong vocal performances of such hits as "Our God," "Whom Shall I Fear" and "Amazing Grace (My Chains Are Gone)," with the mega-pastor's message of grace and forgiveness. Giglio, who has been friends with Tomlin for over a decade, addressed the crowd with a message on the prodigal son and a message of hope for those struggling with life's challenges. The Christian Post sat down with Tomlin prior to his mid-October performance and discussed the tour and how life on the road is different with a wife and young child at home. CP: Tell our readers about the "Burning Lights" tour. It's pretty big with Pastor Louie Giglio appearing alongside you. Tomlin: We've been going strong since February of this year and will have seen 55-60 cities before we're done. It's great having Louie on the road too. CP: Back up and tell us how you and Pastor Giglio first got connected? Tomlin: Yea, I was going to school at Texas A&M and Louie was teaching a Bible study at Baylor University. Like many university students, I would drive each week to hear Louie teach. It was a summer and I first met him at an FCA event – I played music and he spoke. Over the summer we did some youth camps together and connected that way. It was shortly after that God gave Louie the vision for what we know as the Passion Conference today. Of course, we didn't know it was Passion then but that was the beginning. He asked me to do music at the first Passion conference, so we've been touring together for over 10 years now. CP: What initially got you involved in Christian music? Tomlin: I couldn't do anything else! I started singing and writing about 10 years old and country music was big in my household. My dad played lots of country in our household. CP: One of the first questions I ask a Christian artist is do you consider yourself more of a performer or a worship leader? Tomlin: My objective has always been to write worship music, even before there was a Worship music genre. I was doing that while I was in high school and had never even heard the term "worship leader." I would get up at my youth group and just sing songs and try to write songs that people could sing to God. I think God was giving me that gift to connect with people at an early age, even before I knew what that gift was, but that's exactly what I try to do night after night – to write songs that find their way into people's hearts. The greatest compliment I can receive is when that song goes past me and isn't connected to me anymore. I want the song to get into the church and not necessarily be connected to Chris Tomlin. This is what I love the most. At the end of the day it doesn't matter about the record sales, awards or any of that. It's all about the song. CP: When you were in junior high or high school, when did you realize you wanted to be a performer of God's music? Tomlin: I think – I loved music growing up and it was always in the house. I played at church and in my youth group but I never thought this was what I would do for the rest of my life. When I was in college I would play for whatever event needed me whether it was at the Baptist Student Union of the Wesley House. I would jump up and play anywhere. After I started writing songs and getting invited to these camps, it just started taking off on its own and I thought wow, this is amazing. I just thought I would end up playing youth camps. I couldn't imagine making albums or going on such a big tour. That's something that has been amazing to watch. CP: Now that you're married and have a child, how much different is life on the road? Tomlin: Yes, I have a 2-year-old little girl, and her name is Ashlee. The road doesn't change – only in the sense I miss my family when I'm gone. When I moved to Atlanta I met my wife there. Your perspective shifts when you get married and even more when you have children; responsibility and all that stuff. CP: When you're performing in such a large venue as Hope Church and other places, what inspires you the most? What do you see when you look out into the audience and into the eyes of so many people you don't know? Tomlin: For me, playing live is a special thing. When you record a song you can't see the emotion on someone's face but when you perform live the music comes alive. For me, it's about people singing. When there ain't nobody singing then you know you're not connecting. For some people, it's about performing their songs, but for me it's about seeing people sing along. My thermometer is watching people sing. CP: Singer songwriters are very common in Christian music and other genres. But if I said you could either be a singer or a songwriter, which would you choose? Tomlin: Goodness gracious. I would probably, at the end of the day, be a songwriter. If you're a good songwriter you can connect with people. When you're a performer it's about other things. If you write great songs, that's what people remember all of their lives. CP: The "Burning Lights Tour" DVD is out now. Did you shoot live at each venue or when was it recorded? Tomlin: We recorded it in May at the Red Rocks Amphitheater in Denver and it's my first live DVD. It's an extension of this record and a lot of songs our fans have some to love. CP: Moving forward, what's new for Chris Tomlin in 2014? Tomlin: Next year, we'll be making some new music and we're making a new CD. I'm writing all my own songs and I'm collecting these songs and putting my best ones together. Even today I've been looking at my song list and picking the ones I like best. CP: Growing up today is a challenge for sure. Kids are exposed to more and more at an earlier age as time goes on. What is your advice to kids who are approaching or are in their teenage years? Tomlin: I think it's a different world from Instagram, Twitter or anything that's new. You're exposed to so much stuff and as the church we've got to be speaking about these things. As parents, our job is to raise our kids and we've got to be on it, praying and as a church not putting our head in the sand. "The Burning Lights Deluxe Tour Edition" CD and DVD was officially released in late October to rave reviews. Tomlin capped off a strong 2013 by winning Praise and Worship of the Year honors at the Dove Awards in Nashville. "It's been an amazing year and I give all the glory to Jesus for the incredible ride He is taking us on," said Tomlin. "Winning a Dove Award is an honor and I couldn't do it without the help of my band and lots of people who make this possible." See video's of two of Chris' hit songs below.